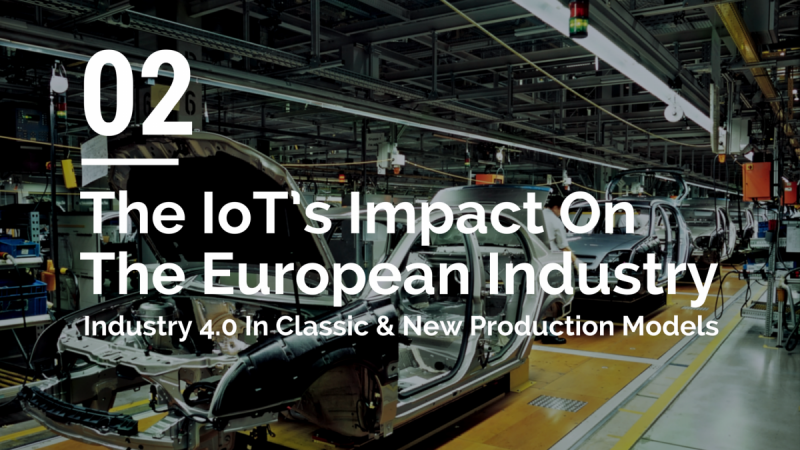 A while ago we reported about opportunities and challenges of the Industrial IoT or in other words Industry 4.0. 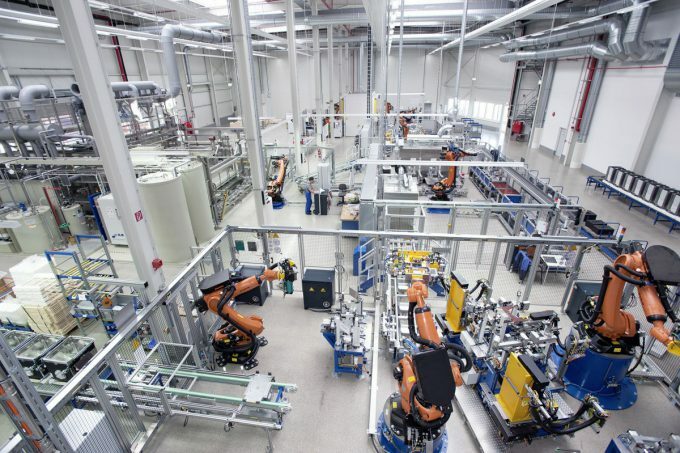 We also reported about the high involvement of the Fraunhofer Society in current research projects aiming at the acceleration and realisation of new industrial concepts. 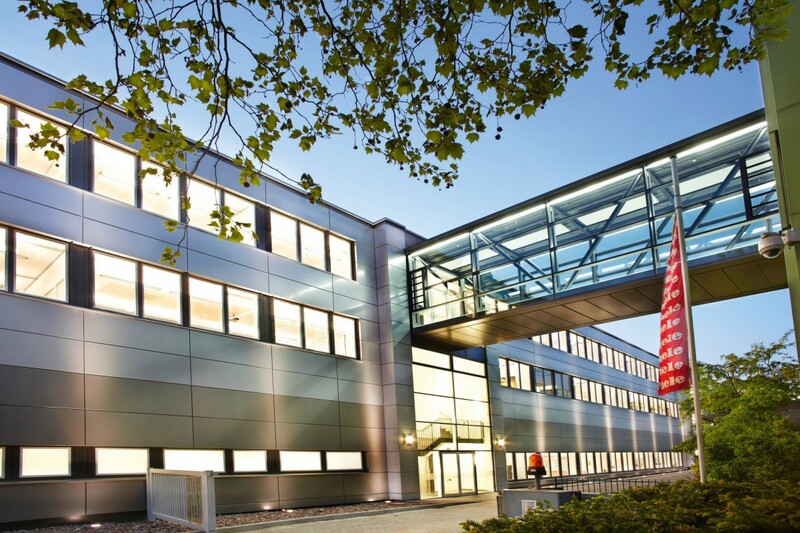 Now the Fraunhofer Application Center Industrial Automation (IOSB-INA) and the Miele & Cie. KG have cooperated in order to optimise the production of dishwashers – with great results. The first workstation on the new pre-assembly line at Miele’s Bielefeld plant, producing chambers for commercial dishwashers and washer-disinfectors. The main goal of the project is to perfect the availability and efficiency of the production site. To achieve this ambitious vision it is necessary to identify the reason for failures and to predict possible issues early enough to eliminate them before they have an effect on the production. 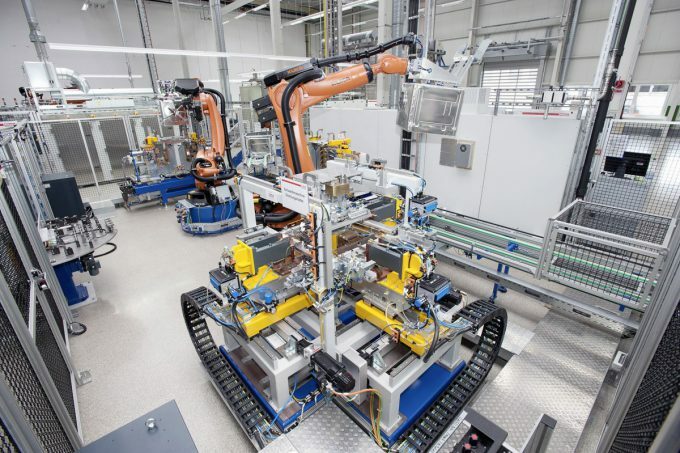 Second stop on the new Miele pre-production line: A robot places the finished chamber on a conveyor which transports it to the next stage of production. To form the washing compartments, custom production machines are employed. Increasing their efficiency and finding deviations in the production process meant running a detailed analysis of the machine control signals which was done with the support of the Fraunhofer research team according to Martin Fuchs, Project Leader at Miele. 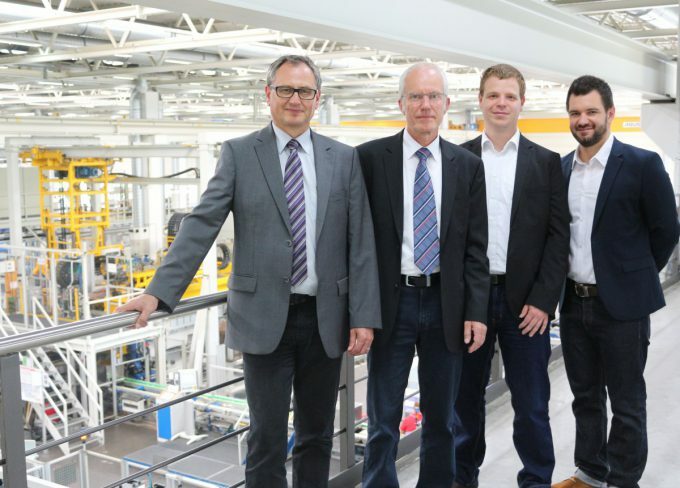 Picture: Matthias Schaffeld (Miele), Martin Fuchs (Miele), Jens Eickmeyer (Fraunhofer), David Schaffranek (Fraunhofer) (from left) in front of the production line in Bielefeld, Germany. The specialists used custom analysis algorithms for a huge amount of production data which have been developed for this purpose. The software is able to capture data from a single machine up to a complete production line. The intelligent assistance system transforms the collected information into a virtual model of the machine/production line according to Jens Eickmeyer, project leader at the IOSB-INA. Chamber production at a glance: The first two stages – forming and completing the chamber – can be seen in the background. This is followed by passivation (left centre) which involves degreasing and drying the chambers. The software learns the normal production steps and displays the complex processes within the machine in a simplified way. In case of an anomaly within the real production on site an alert is sent to the Fraunhofer research team in Lemgo, Germany. Potential sources for failure and opportunities for optimisation have been identified through out this phase. In the next step the project team identified the origins of the deviations and where therefore able to eliminate them by tweaking the control parameters. 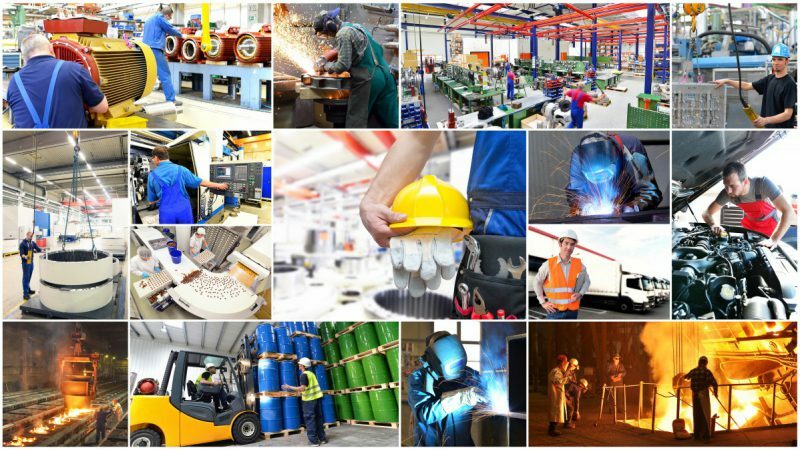 So How Far Are We With The Move Towards Industry 4.0 Today? 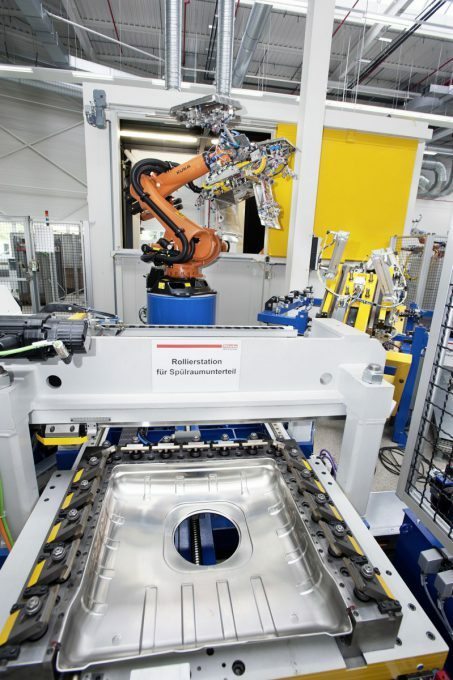 According to the scientists at Fraunhofer in Lemgo it is possible that machines identify and report anomalies within the production process autonomously using the researchers’ assistance systems. The identification of the origin or cause for these anomalies however is still performed by scientists. Different solutions for this next step are already in place but it will take some time to test them before they can be applied in a broad range of production sites. Martin Fuchs from Miele states that he hopes for a significant increase in efficiency for the production of the washing compartments coming from the observation of the production processes and machines with the self-leading assistance systems. 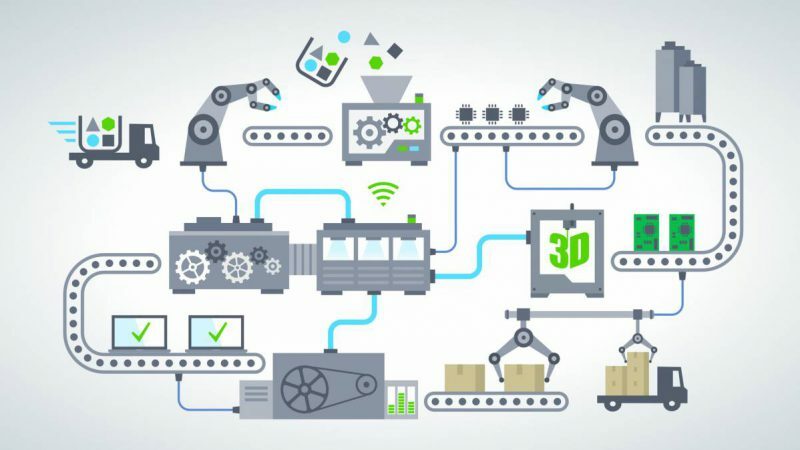 The new information and data is not only useful during the optimisation of the current production but also helps to improve the design and construction of future machines and production lines. 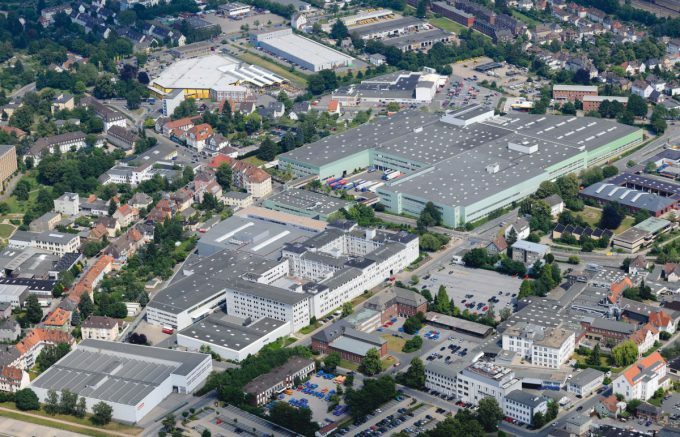 An aerial view of the Miele Bielefeld production plant: The new Miele Professional Innovation Centre is located in the west of the site. So to answer the question above: It is still a long way until the industrial IoT fully arrives as solutions have to be highly customised. However companies like Miele are already feeling the first positive effects of the new possibilities thanks to modern systems like the one from the Fraunhofer Institute. 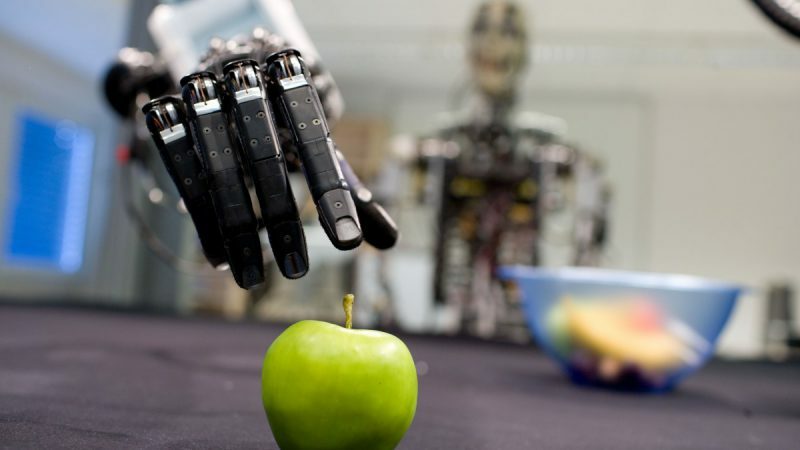 To get more insights on cyber-physical systems and talk to the experts of the Fraunhofer IOSB-INA in Lemgo, register for the upcoming event “Machine Learning for Cyber Physical Systems” (ML4CPS). The conference will take place October 1&2 in Lemgo, Germany and addresses attendants from different industry sectors such as production technology, automation, automotive and telecommunication. Regional Application Manager. Driven by the vision of a smarter and more efficient future. My updates include everything from Industry 4.0 to consumer applications as well as trends, updates and visions out of the semiconductor world.